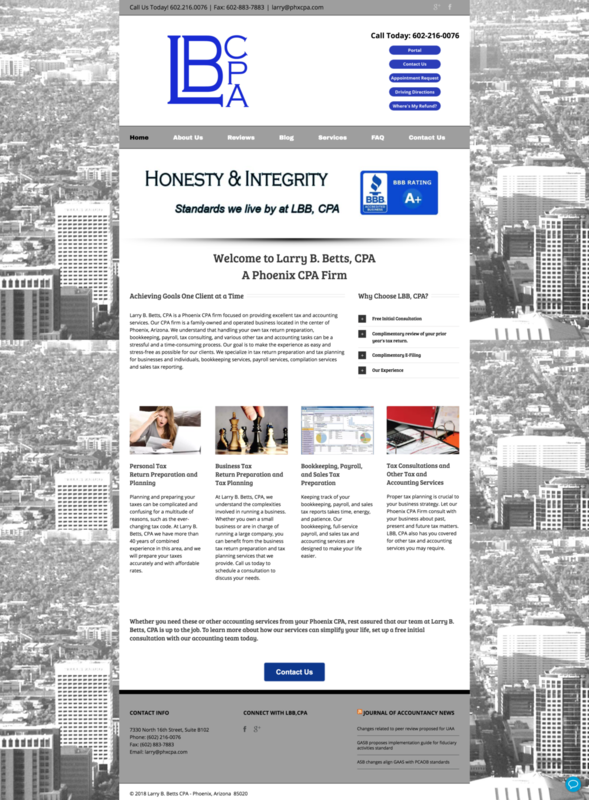 Larry Betts is a CPA whose goal is to gain and retain his younger clientele who are between the ages of 25-40. He knows he would greatly benefit from a website redesign but does not know where to start. He noticed that many of his competitors are creating modern websites and wants to do the same. My goal is to redesign his website to appeal to a large age group and remain competitive in his industry. View Larry Betts’ website, here. First, I performed competitor research and interviewed his target audience. Next, I sketched wireframes and other ideas of layouts that accommodate the content he currently has due to his short deadline. I sketched multiple ideas for the services and contact page but overall chose to keep everything clean and simple to avoid overwhelm and intimidation. That is a statement I heard several times from 20-somethings who consider working with a CPA but do not commit. 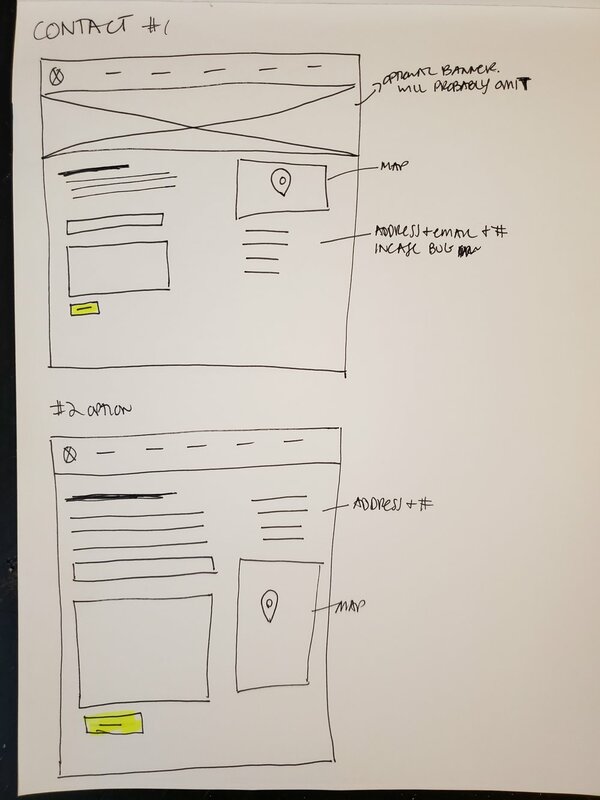 I love brainstorming with a sharpie and paper but I also enjoy using software to create wireframes. Below are the final revisions of the wireframes. I used Invision’s FreeHand tool. Other wireframe software I’ve used is moqups and sometimes Sketch, too. Enlarge these wireframes, here. Since Larry does not have an understanding of what wireframes are, the next step is to create mid-fidelity mockups for him to view. Mock ups are easier for non-technical clients to understand and visualize design concepts. When he agrees to move forward, I will begin to build his new website.